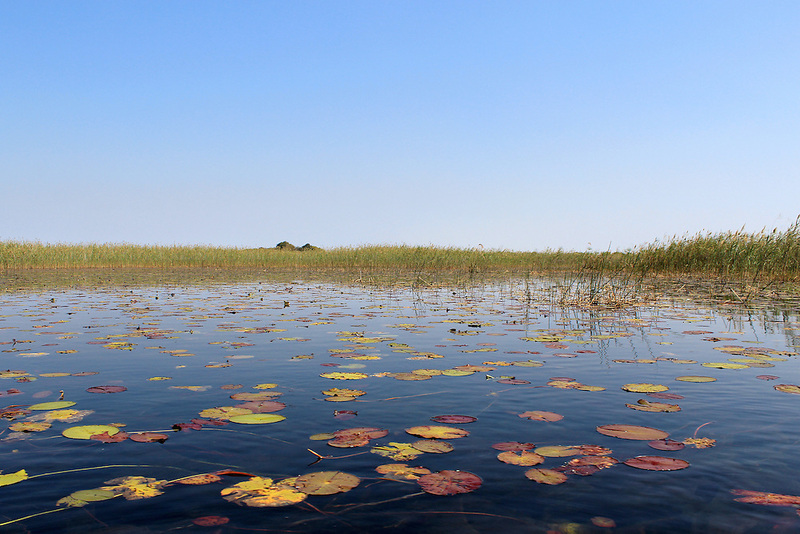 Okavango Delta water lillys and "Cyperus papyrus" plant landscape. Okavango Delta water lillys and "Cyperus papyrus" plant landscape. North of Botswana.